1. Давыдов М.И., Аксель Е.М. Заболеваемость злокачественными новообразованиями и смертность от них населения стран СНГ в 2005 г. Вестн РОНЦ им. Н.Н. Блохина РАМН 2006;3(прил 1):78—101. 2. Кузнецов В.В., Морхов К.Ю., Нечушкина В.М. Рак тела и шейки матки. Вестн РОНЦ им. Н. Н. Блохина РАМН 2008;(2). 3. Rotariu P., Yohannes P., Alexianu M. et al. Management of malignant extrinsic compression of the ureter by simultaneous placement of two ipsilateral ureteral stents. J Endourol 2001;15(10):979—83. 4. Крикунова Л.И. Лучевая терапия рака шейки матки. Практ онкол 2002;3(3):194—9. 5. Максимов С.Я., Гусейнов К.Д. Комбинированное лечение рака шейки матки. Практонкол 2002;3(3):200—10. 6. Parkin D.M. Ddeath from cervical can- cer. Lancet 1999;8484:797. 7. Кан Д.В. Руководство по акушерской и гинекологической урологии М.: Медицина, 1986. 8. Чакалова Г.Б., Михайлов М.А. Стеноз мочеточника и гидронефроз при распространенном раке шейки матки. Онкология 1993;30(Suppl 1):90. 9. Chao K.S., Leung W.M., Grigsby P.W. et al. The clinical implications of hydronephrosis and the level of ureteral obstruction in stage IIIB cervical cancer. Int J Radiat Oncol Biol Phys 1998;40(5):1095—100. 10. Gellrich J., Hakenberg O.W., Oehlschlдger S., Wirth M.P. Manifestation, latency and management of late urological complications after curative radiotherapy for cervical carcinoma. Onkologie 2003;26(4):334—40. 11. Wu K., Zhang W.H., Zhang R. et al. Analysis of postoperative complications of radical hysterectomy for 219 cervical can- cer patients. China. Zhonghua Zhong Liu Za Zhi 2006;28(4):316—9. 12. Matsuura Y., Kawagoe T., Toki N. et al. Long-standing complications after treatment for cancer of the uterine cervix- clinical significance of medical examina- tion at 5 years after treatment. Int J Gynecol Cancer 2006;16(1):294—7. 13. Kan D.V., Afanas'ev M.B. Ureteral obstruction after radiotherapy in patients with cancer. Urol Nefrol 1989;(2):31—4. 14. Angioli R., Estape R., Cantuaria G. et al. Urinary complications of Miami pouch: trend of conservative management. Am J Obstet Gynecol 1998;179(2):343—8. 15. Канаве С.В., Туркевич В.Т., Аввакумова В.В. Результаты сочетанной лучевой терапии рака шейки матки. Материалы научной конференции «Актуальные вопросы медицинской радиологии». Тез. докл. СПб., 1998. с. 271. 16. Stevens A., van Driel M.F., Klein J.P. et al. Endourological drainage in urinary outflow obstruction caused by cancer. Urologie, Academisch Ziekenhuis, Groningen. Ned Tijdschr Geneeskd 1994;138(10):522—5. 17. Тюрин И.Е. Лучевая диагностика в онкологии. Практ онкол 2005;6(1):15—7. 18. 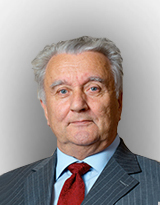 Michniewicz K., Oellinger J. Diagnostic imaging in invasive cervical car- cinoma: MRI, CT, and ultrasonography. Zentralbl Gynakol 2001;123(4):222—8. 19. Vanderpuye V. Renal sonography in the diagnosis of renal obstruction or hydronephrosis in patients with cervical cancer. J Clin Ultrasound 2002;30(7):424— 7. 20. Рябинский В.С., Костромина К.Н., Каразанашвили Г.Г. Роль чреспузырного ультразвукового исследования в диагностике причин уретерального стеноза у пациентов с раком шейки матки. Мед радиол 1991;36(9):46—9. 21. Аляев Ю.Г., Амосов А.В., Крупинов Г.Е., Евдокимов М.С. Эндолюминальная ультрасонография верхних мочевых путей и уретры. SonoAce-Internat 2002;(10):42—51. 22. King L.R. Hydronephrosis. When is obstruction not obstruction? Urol Clin North Am 1995;22:31—42. 23. Лишманов Ю.Б., Чернова В.И. Радионуклидная диагностика для практикующих врачей. Томск: STT, 2004. 24. Pateisky N., Vavra N., Berkemeier H. et al. Isotope nephrogram in follow-up of radically operated cervix cancers. Geburtshilfe Frauenheilkd 1993;53(8):532—436. 25. Zadra J.A., Jewett M.A., Keresteci A.G. et al. Nonoperative urinary diversion for malignant ureteral obstruc- tion. Cancer 1987;60(6):1353—7. 26. Lee S.K., Jones H.W. ; Gynecological Oncology Unit, Vanderbilt University Hospital, Nashville, Tennessee. Prognostic significance of ureteral obstruction in pri- mary cervical cancer. Int J Gynaecol Obstet 1994;44(1):59—65. 27. Hausegger K.A., Portugaller H.R. Percutaneous nephrostomy and antegrade ureteral stenting: technique-indications- complications. Eur Radiol 2006;16(9):2016—30. 28. Horan G., McArdle O., Martin J., Collins C.D. Pelvic radiotherapy in patients with hydronephrosis in stage IIIB cancer of the cervix: renal effects and the optimal timing for urinary diversion? Gynecol Oncol 2006;101(3):441—4. 29. Yossepowitch O., Lifshitz D.A., Dekel Y. et al. Predicting the success of ret- rograde stenting for managing ureteral obstruction. J Urol 2001;166(5):1746—9. 30. Desgrandchamps F., Leroux S., Ravery V. et al. Subcutaneous pyelovesical bypass as replacement for standard percu- taneous nephrostomy for palliative urinary diversion: prospective evaluation of patient's quality of life. J Endourol 2007;21(2):173—6. 31. Ringel A., Richter S., Shalev M., Nissenkorn I. Late complications of ureter- al stents. Eur Urol 2000;38(1):41—4.